Image courtesy of Sunday Night Entertainment. If the internet has taught us anything, it’s that everyone loves a good downfall story. But let’s halt our gossip over questionable life choices for a moment, and talk about pigeons. No, seriously. 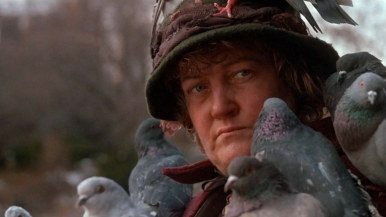 Once a beloved pet and trusted message carrier, pigeons today are regarded as little more than loathsome nuisances. So, what happened? Toronto-based filmmaker Scott Harper searches for answers, and aims to restore a little respect for these downtrodden creatures, in his documentary, The Secret Life of Pigeons, airing on CBC November 20. We spoke with him to get the inside scoop, and while we’re not going to reveal all the secrets (you’re going to have to watch the program for yourself), we can tell you that the doc involves a pretty nifty adventure across Toronto’s rooftops, courtesy of a pigeon-cam. Some of us find endless amusement in watching pigeons strut their stuff, make mockeries of statues, and fling their food all over the place, but the majority of Torontonians agree with Woody Allen’s “rat with wings” descriptor. As descendants of domesticated birds turned loose around the turn of the century, our pigeons are essentially homeless pets. They got the boot simply because they became an unfashionable communication option as technology continued to advance and society became less tolerant of the cooing masses residing in their neighbours’ backyards. 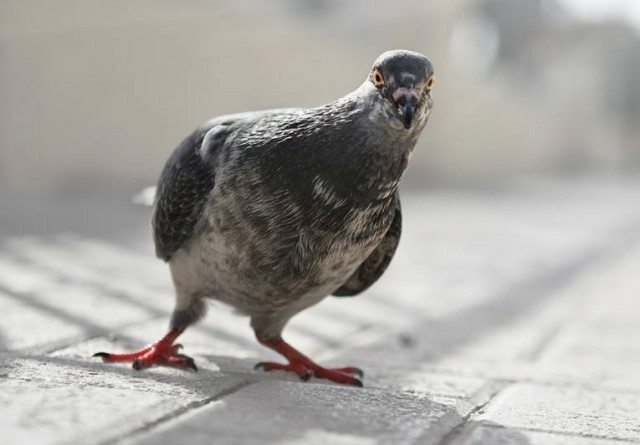 Tugging on our heartstrings, Harper describes the pigeon’s life as “one big anxiety attack.” Always a few days away from complete starvation, their time is spent searching for food and watching out for innumerable dangers. Hawks are their biggest enemies, and you’d think that would make for some mismatched showdowns. However, when pursued in mid-flight, the pigeon will play dead and fall to earth before making a last-second turn to escape the predator. Pretty cool, huh? Since they don’t have a taste for bugs or berries, they are entirely reliant on us for food. Luckily, having very few tastebuds makes it easy for them to eat pretty much anything. Some believe that they’ve even evolved to look sad and needy in order to appeal to our emotions. Image courtesy of Twentieth Century Fox Film Corporation. It’s doubtful that the pigeon will ever take the Wisest Bird crown away from the owl, but don’t assume that they’re as dumb as what they eat, either. 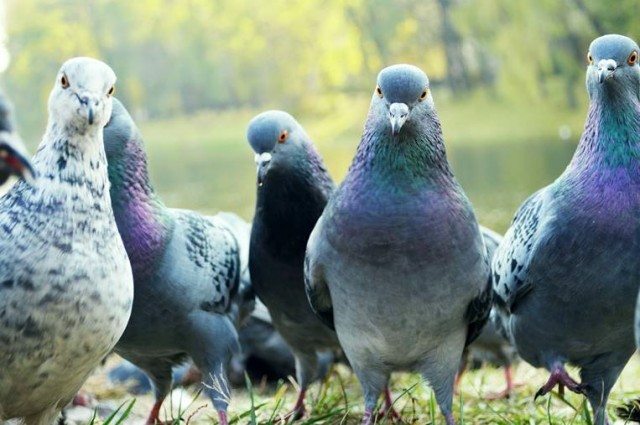 Though it was tough to track down experts in the field, Harper’s crew was able to find a few who have designed experiments to prove that pigeons recognize human facial features and are able to navigate their way home from many miles away. They also discovered that these clever creatures like to unveil their superior intelligence with a sense of cat-like mischievousness. During shooting, the subjects often refused to eat, fly, or mate when the camera was around. It’s no surprise that Harper’s biggest takeaway from the project is that animal wranglers are an essential part of nature films. For such magnificent animals, pigeons have to confront a pretty tough existence. City dwellers live on average 2-3 years—compare that to the 10-12 year lifespan of their pampered cousins, who are bred for racing or showing. By telling their story, Harper hopes to inspire viewers to admire these fascinating birds and show them a little compassion—or at least not get so grossed out when they try to share your french fries.